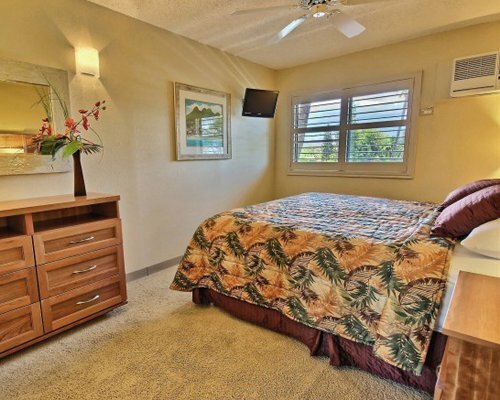 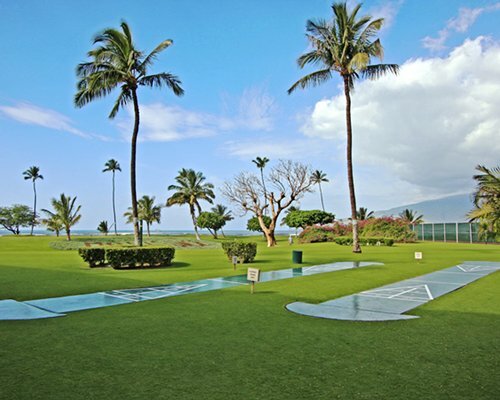 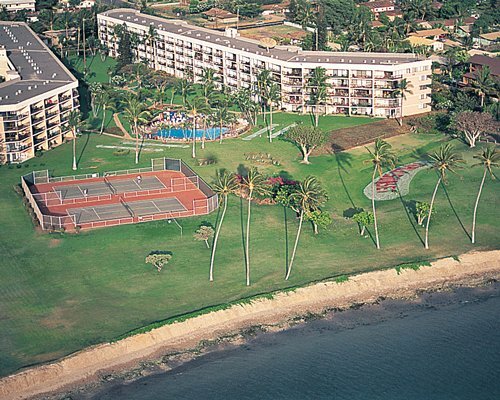 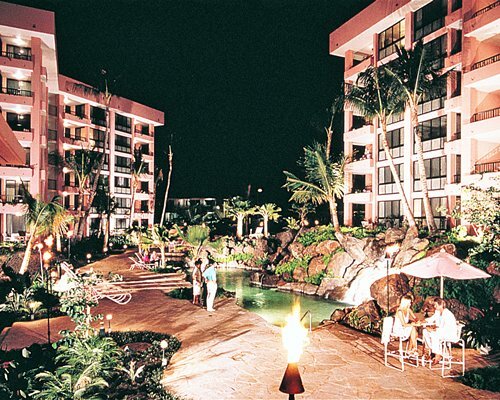 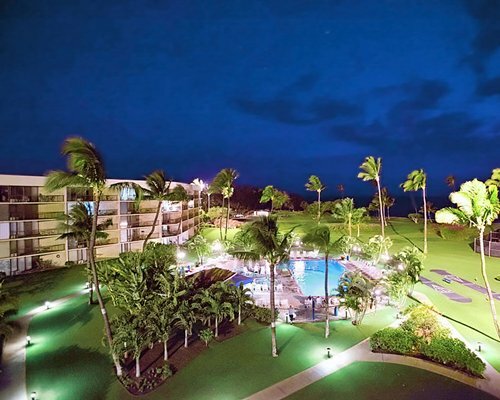 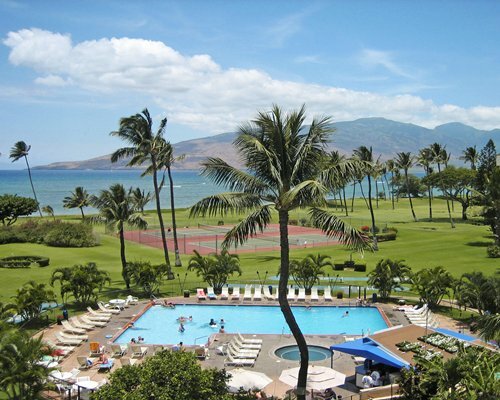 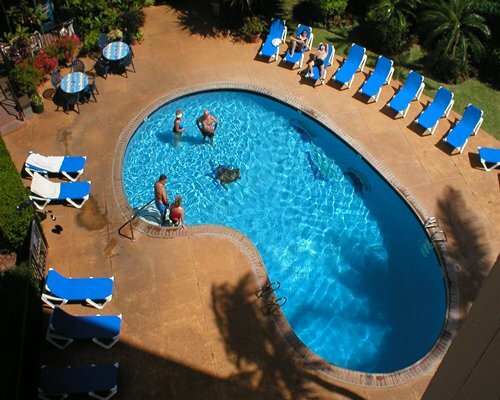 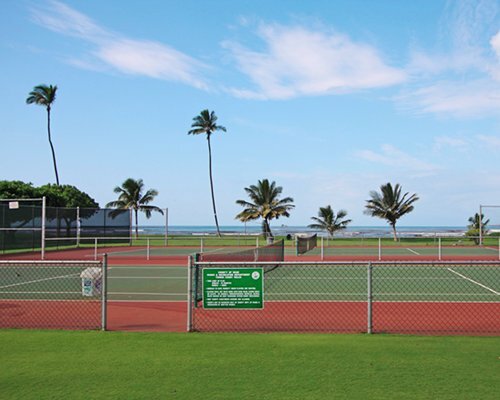 The Maui Sunset resort features pool, whirlpool and tennis facilities on-site. 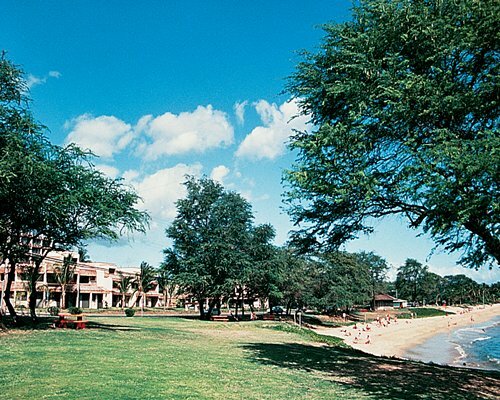 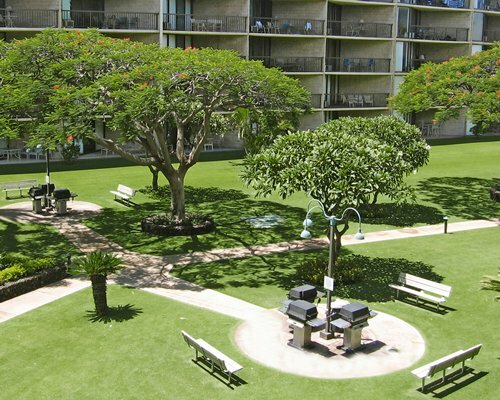 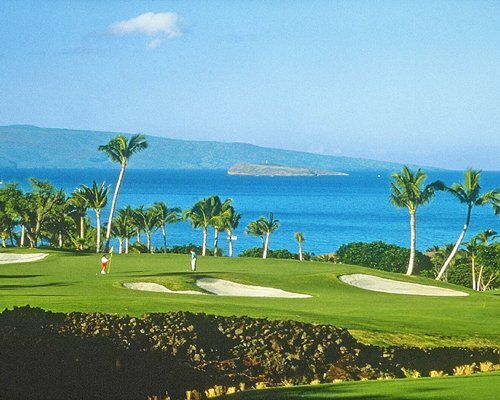 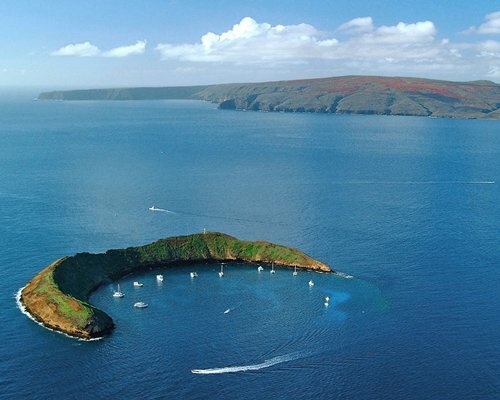 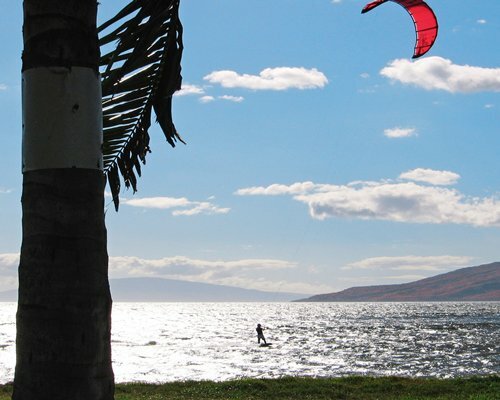 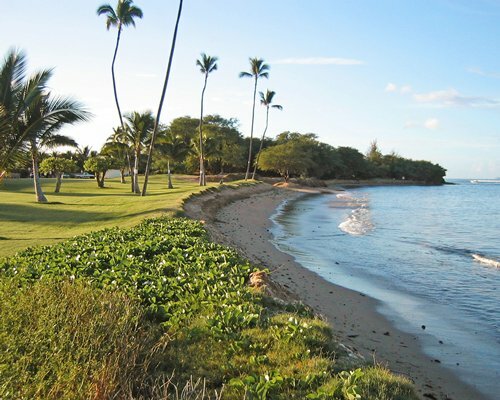 Restaurants and shopping are very close by and it's a short 20-minute trip to Lahaina. 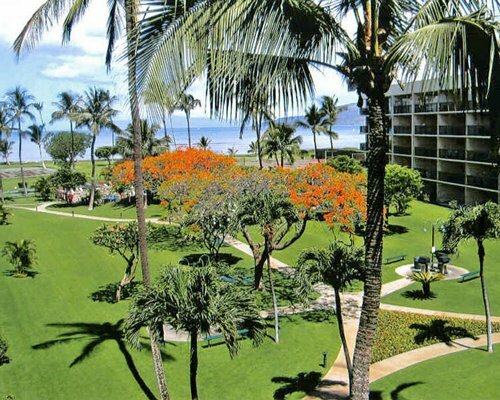 The grounds are meticulously maintained and the resort is a wonderful spot to watch gorgeous sunsets. 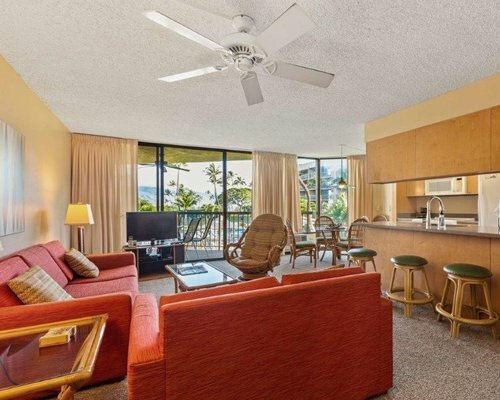 All units are angled to afford the best possible views from within and decks provide views of both the ocean and the resort's immaculate grounds. 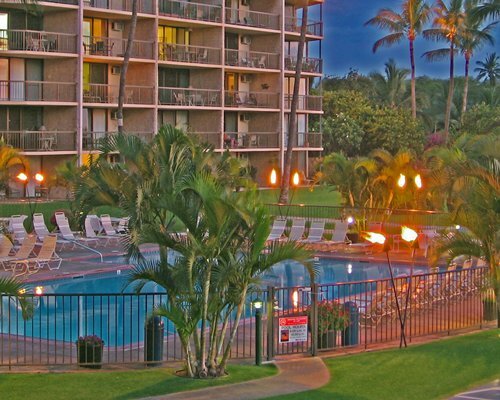 Exercise equipment and elevators are also provided. 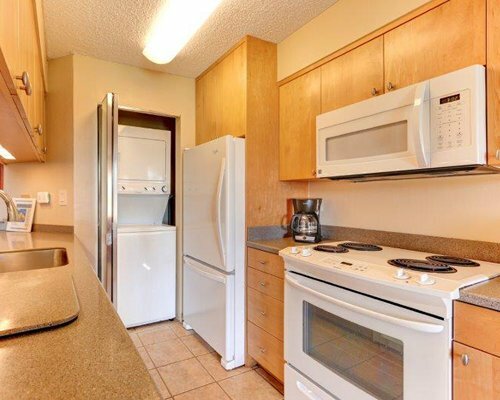 Full kitchens, washers and dryers, cable TV and VCRs provide the conveniences of home. 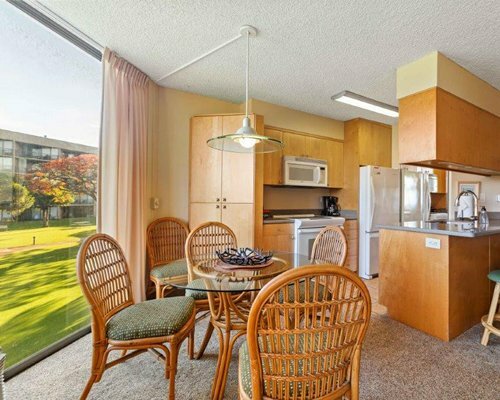 All units have telephones and air conditioning and kitchens have dishwashers and microwaves. 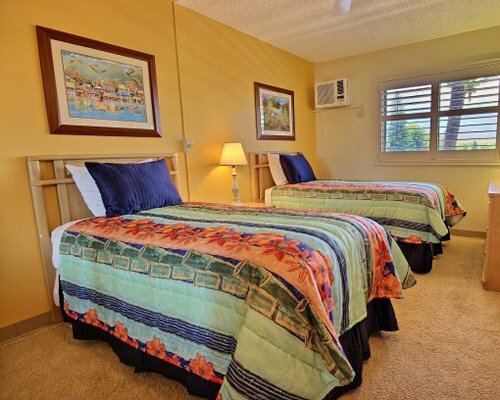 One-bedroom units sleep four or five guests; two-bedroom units can accommodate seven very comfortably. 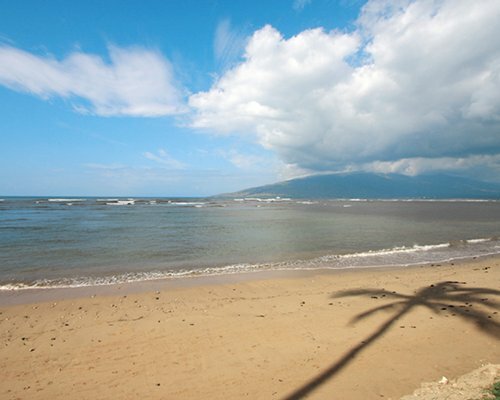 The onsight beach is not conducive to swimming due to wave activity.